Termites can survive just about anywhere. It doesn’t matter if it’s rainy or sunny, dry or humid, indoor or outdoor, city or country—termites will find a way to survive, and they’ll certainly find some food to eat. But what conditions do termites thrive in? Here are just a few places where termites are happy and healthy, and exploring a variety of dining options. Water is the source of life on earth—that’s true for animals, plants, and even termites. While termites don’t necessarily drink it, they use it as a treasure map to find their next food supply. Termites follow tiny water trails and patches of moist ground, which will almost certainly lead them to the promised land: An area lush with trees and plant life. The more water in an area, the more lush plant life. However, it doesn’t take much moisture for termites to navigate and survive. That’s why termites can survive in 49 out of 50 U.S. States—all but icy, chilly Alaska. 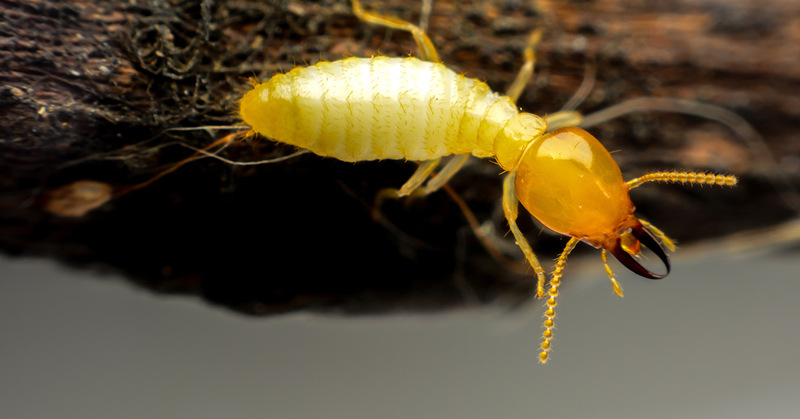 Termites love wood—so much so, that they’ve become infamous for it. But termites don’t just love wood—they need it. Wood is made of cellulose, the most prevalent organic compound on earth, and the primary structural component of the cell wall of green plants. Without the cellulose from green plants and wood, termites would not survive, so that explains why termites are so destructive in forest areas. But what happens when there are no trees or plants for the termites to eat? What if termites are stuck in the concrete jungle? More often than not, they’ll munch on the next best thing: Your home. The damage caused by termites isn’t limited to wood and plant life. Termites are always looking to satisfy their collective cellulose fix, so they’ll eat anything with cellulose in it: Books, important documents, photographs, cardboard boxes, and clothes—especially clothes. While dead wood is about 40-50 percent cellulose and leafy green matter is about one-third cellulose, cotton fiber is almost 90 percent cellulose, making your cardboard box full of old sweaters a perfect dining option for city-dwelling termites. Termites can invade a basement or attic space very quickly, and make a mess of the cellulose-based objects inside before you know they’re there. 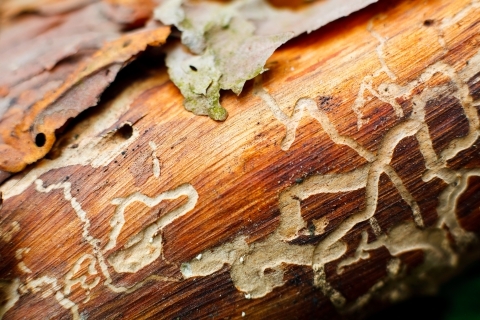 Without a careful eye on your keepsakes, termites could eat away at years of memories and mementos. Fortunately, there’s a way to protect yourself (or your cellulose-rich belongings) from these hungry pests. Use Hi-Tech Termite Control to book a free inspection of your home. We can sniff out termites at the source, provide preventative termite advice and care, and use highly effective microwave spot treatments to stop termites from spreading. If the problem gets worse, we offer extensive fumigation services to stop the problem for good so you can prevent further termite damage and reclaim your home. If you’re looking for alternative termite treatments in California, contact us at Hi-Tech Termite Control for help–and do it before the termites move in.